​P ZERO™ CORSA SYSTEM is the most sporting tyre in the road car range Developed in association with leading vehicle manufacturers in the high performance sector. For use on both road and track, P ZERO™ CORSA SYSTEM concept combines directional (front axle fitment) and asymmetric (rear axle fitment or all-round application) tread designs to enhance not only performance, but also styling. It was developed by Pirelli together with supercar manufacturers for both road and track use, on models directly derived from their motorsport counterparts. 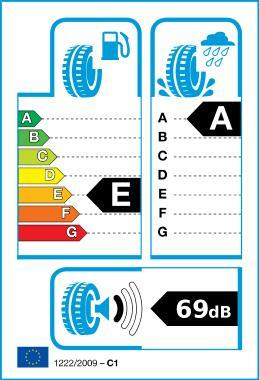 The specialised structure of this tyre gives it optimal stability at high speed and while cornering. The directional tread pattern (for the front) incorporates longitudinal grooves that expel water from the contact patch, benefitting steering precision. The asymmetric design (for the rear) improves the handling, thanks to an ample contact patch and increased rigidity.